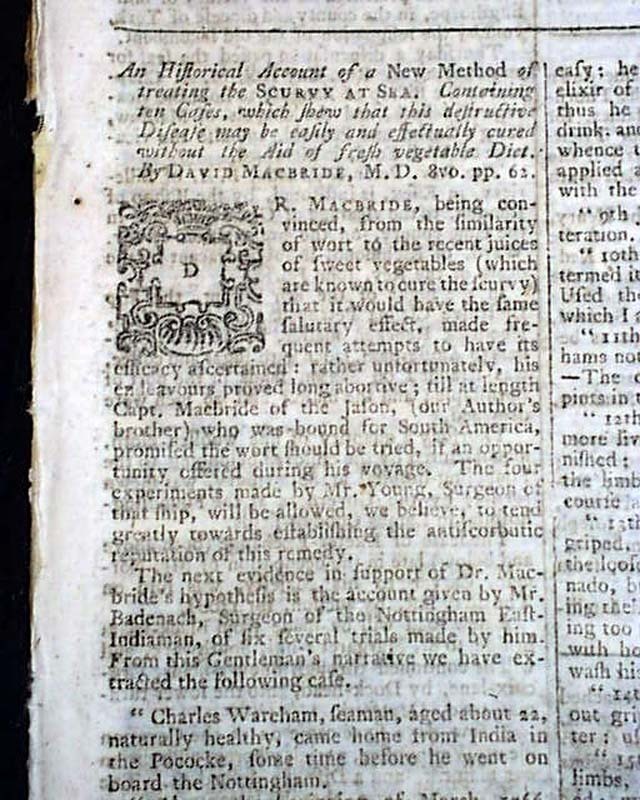 THE LONDON CHRONICLE, England, December 22, 1767 Most of the front page is taken up with: "An Historical Account of a New Method of treating the Scurvy at Sea...". 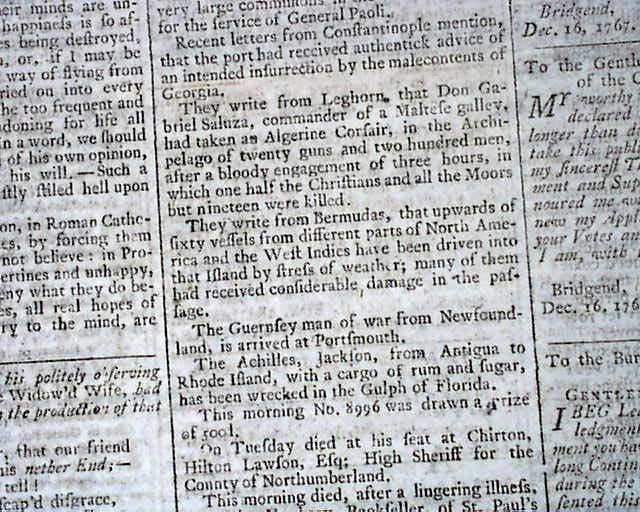 The back page includes a small item noting: "...from Bermudas, that upwards of 60 vessels from different parts of North America & the West Indies have been driven into that island by stress of weather; many of them had received considerable damage in the passage." 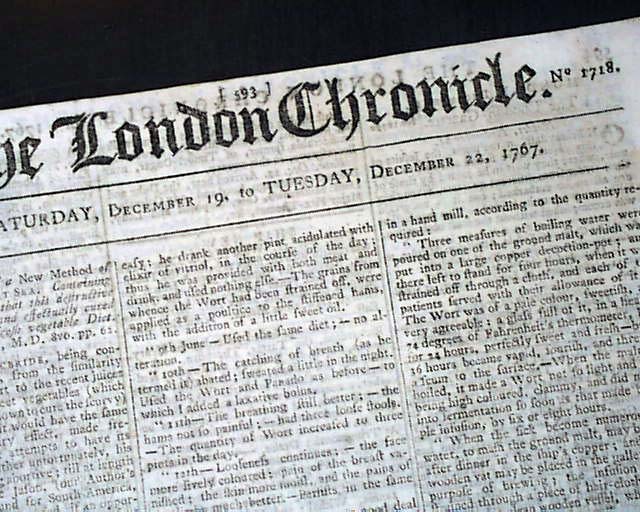 The balance of the issue is taken up with various reports from Europe from just 8 years before the outbreak of the Revolutionary War. Many advertisements as well. 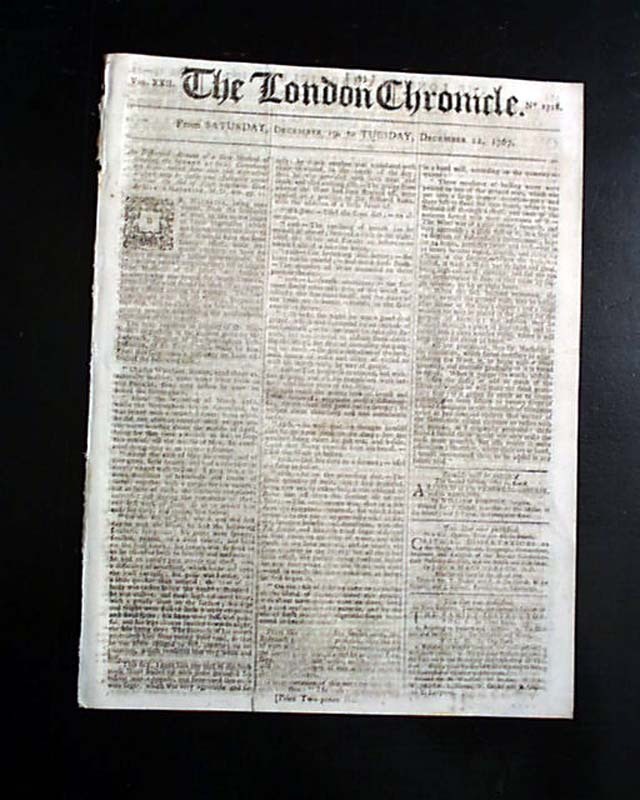 Complete in 8 pages, measures 8 1/2 by 11 inches, very nice condition.